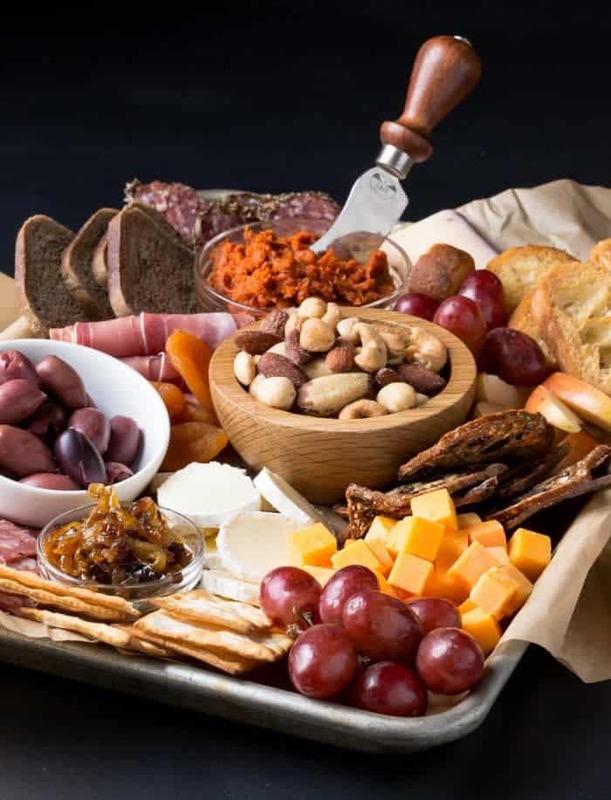 Wow your friends and family when you follow these expert tips to Build a Better Meat and Cheese Tray. 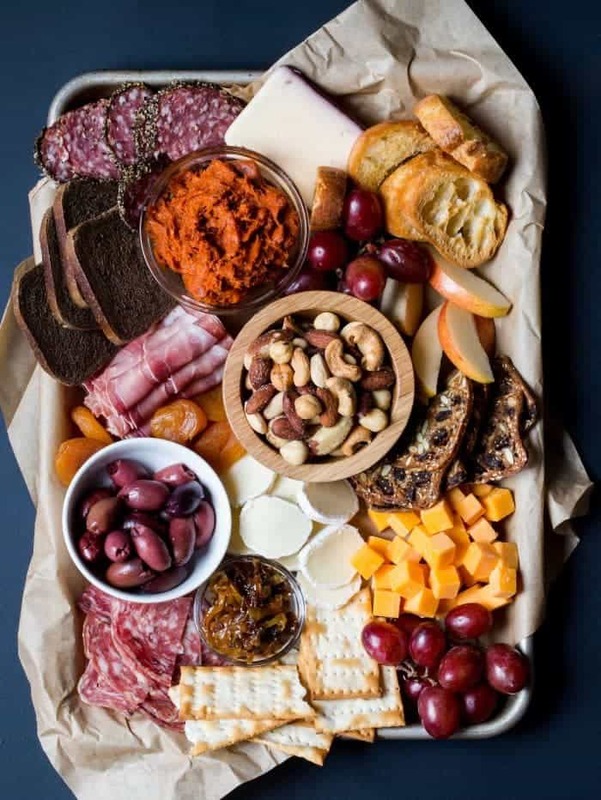 Meat and cheese trays are a great way to feed snacks to a group, and the best ones are diverse and include some unique items. Don’t just pick one up at the store; follow these expert tips to quickly Build a Better Meat and Cheese Tray. 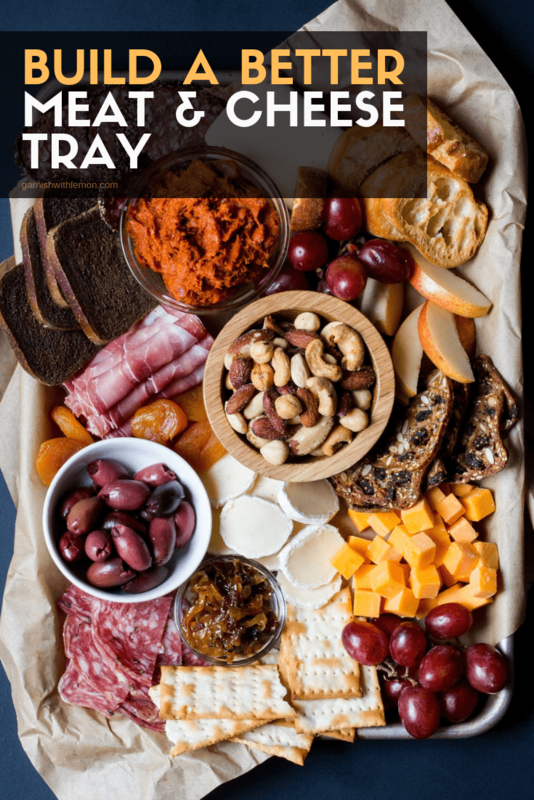 This showstopper appetizer tray will surely impress all of your guests, and no one needs to know how simple it was to put together. An easy guide to follow is to offer three types of cheeses: aged, soft and firm. We chose a Brie, sharp cheddar and Parmesan for ours. Feel free to add your favorite flavors. Just remember to add a separate knife for each cheese so the flavors don’t mix. Also, cheese tastes best at room temperature, so set it out about 30 minutes before your guests arrive to get the maximum flavor. Prosciutto, salami and pate are always solid choices. The cured meats on a platter can quickly get expensive. Offer different meats in a variety of cuts that are easy to eat and will encourage guests to take smaller amounts. What kind of serving platter to use? The sky is the limit when it comes to plating the food. Sure everyone loves a gorgeous slate slab to plate it on, but we love using a small jelly roll pan instead. There’s no need to buy something special for this. Heck, we’ve even pulled a cutting board out and used that. Get creative! After all, who has the extra storage space for special trays? While there is nothing wrong with a good Triscuit, think outside of the box when choosing crackers. Our favorite cracker splurge is Raincoast Crisps. A few of these babies go a long way and they add great texture to your platter. Pumpernickel bread and crusty baguette are also great choices to complement the meat and cheese while adding color and volume at the same time. It’s hard to go wrong with a good dijon mustard, olive tapenade or caramelized onions. They all pair well with cured meats and let the flavors shine through. Add some roasted nuts, olives, dried fruit and fresh fruit to fill in the cracks. These extra nibbles make the food last longer! But do I have enough? I always tend to overbuy when I choose items for a tray. If you plan on each guest eating about an ounce of cheese, an ounce of meat and 3-4 crackers/bread slices, you should be in great shape. Remember, this is just a snack, not the only thing the guests will be eating! And remember, cured meats and cheeses have a long life in the refrigerator. Wrap them tightly when you are done, and you’ll be ready for your next planned or impromptu gathering! Stuck on what wine to serve with your meat and cheese tray? Check out the list of our favorite wines for under $15. This looks wonderful, so many textures and colors here, not to mention flavors! What kind of paper is that underneath? Looks kind of waxy but not wax paper – perhaps butcher’s paper? It’s the little details that get me! Thanks for the great advice, I will be using this for my holiday go to for sure. Hi Marti- you have a great eye for detail! We used butcher paper to line the pan but parchment paper would work too!